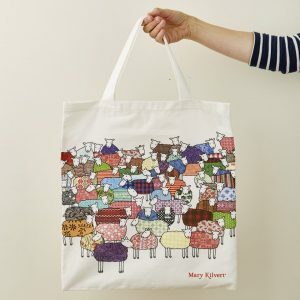 Category: Collections, Interior, Sheep, Summer, Mother's Day, Spring, Easter, Textiles, Cushions, Woollen Favourites. 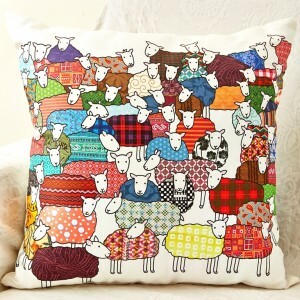 This charming cushion would look lovely on your pillow and the little sheep will even help you get to sleep! 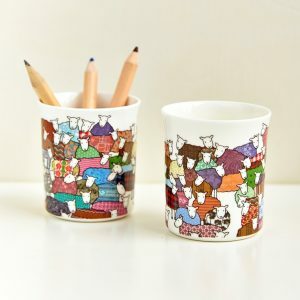 Handmade in England using 100% cotton. Filled with soft fibre cushion inner and softly scented with English lavender. 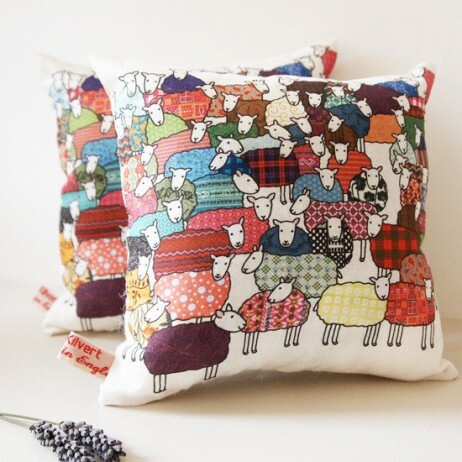 Each cushion comes with a different patterned floral patterned back, sympathetic to the image on the front. Measures approximately 15cm x 15cm.